And we know that you hardy mountain bikers head out in all sorts of weather, and so have we. The Welsh landscape is fascinating and exhilarating in any weather and that’s why it’s worth heading out rain or shine. 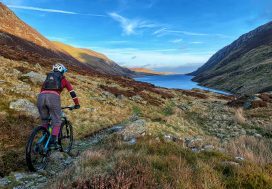 Over the winter months we’ve headed to BikePark Wales, Nant Gwrtheyrn, Coed Llandegla and Cwmcarn to bring you our latest edit. We’ve experience, atmospheric mist, rain and mud (which is always fun) and some glorious winter sunshine to top it off. 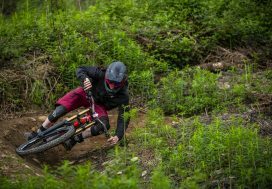 And here it is, sit back, relax and enjoy……..
MTB Women – are on the increase!